Allow world creators the ability to moderate their OWN worlds and issue their OWN bans. I'm tired of seeing crashers and exploiters in my worlds and kicking them is nothing. I want the ability to ban certain individuals from my worlds. There is absolutely no harm in doing this. Who is it going to hurt? The exploiters and cheaters. What if world creators abuse it and ban people from THEIR OWN worlds? Well it's their fault their world fails to gather a population. What else will this do? Allow world creators to suit the needs of their wanted audience. it will also help take the stress off of the actually game moderators. Lucifer MStar - Creator of 30+ worlds including church of marriages. P.S. Communicate more with your community on what you are doing about these crashers and exploiters and maybe the heat and stress will die down. Honestly this is the most annoying thing communication. Maybe I repeat someone else, sorry if so, but I fully agree that such a tool is quite capable. The question is that it can be given on the rank of world-creator, then situations with unreasonable bans will be much less. Secondly, it is a good help the moderators to identify unscrupulous players if the player got a bunch of bans in different worlds (even if some unreasonably) this is the reason you look closely to this person.Utterly agree with those that unfounded bans in world will lead only to bad reputation for worl-creator but nor as not to players. Again saw the comment about the fact that the world-creators arrogant, I promise myself the worlds doing and know many of the creators have never seen any pathos, it is mostly a modest and helpful people. Best wishes, ChesnoK. We definitely understand the frustration and impetus behind the feature request. We're aware of the need for more player-to-player moderation ability (or, as illustrated in this post, world author-to-player moderation), but it needs more thought. @Tupper - Community Manager: Thanks for replying and making us aware you guys are at least thinking of a solution right now. Just last night i had a user in my world using a hacked client so i couldnt kick them causing everyone entering to crash. And I couldn't do anything about it. Hopfully something can be done. How is this a good proposal at all? I assume you're seeing world creators through some kind of clouded lens where everyone who publishes a world is a responsible and functioning human being. I can tell you right now, such a world sadly doesn't exist. Another point here is if you were to ban a user from a world, this will mean they can NEVER get back there, not to mention there are users who can be really petty when it comes to, realistically, pretty small disputes. You can argue to punish the world creators at this point for abuse of the system, but my point is that the system shouldn't be implemented in the first place because of these people. @LoneEevee: I've countered this arguement in many of the comments so please read them before posting. Proposals like these make me wish the canny had a downvote button, honestly. @Hugo Zink: very immature hugo. That system would not work. I don't agree with this. If someone is doing stuff that would get them banned from VRChat, they should be banned from the platform. Not from a specific world. @Bryan Bortz: This is a very difficult thing to do as the moderation of this game is little to none and is a long process as with the evidence needed is almost never there. This way it discourages cheating at least in public instances and also creates a larger risk for them. Moderation of individual worlds is a win win for all. People who abuse their power in their own worlds is fair game its their world. Doing so will most likely give them a bad rep and discourage users from playing on them. @Lucifer MStar: once again, it seems like you have an issue with the way the game is moderated. The logical step would be to ask for better/more moderation (which I absolutely agree with). But turning world creators into vigilantes is a bad idea. If they break the VRChat ToS then they should be banned from VRChat, not just from individual worlds. translation if he got his tools he would ban you. Control his world or abuse his power? Leave moderation to the moderators. @verser: Both. What he choose to do with his powers will determine what kinda people will play and or come. @Lucifer MStar: I'm not a "troublemaker", but thanks for assuming that anyone who disagrees with you is only doing so because they're "scared". You are proving my point yet again. Please keep talking. You say you already read my comments, yet you refuse to address them directly. "Why not?" is not a valid reason for creators to have these tools. You're assuming that a world creator abusing his power will affect world popularity in any way. One look at reddit will tell you how false this is. @Hugo Zink: oh im sorry hugo i assumed you could tell it was a joke by the winky face at the end. Anyway i think youre very immature with the way you comment on posts as i have addressed everything you said but you seem to keep reply until people agree with your opinion instead. People can have different opinions and youre gonna have ti learn to accept that at a point you cant change that. Ive mention enough times about world creators abusing the power. Besides this is very much likely a dead or ignored post at this point. It was at the top and top half of feature requests for so long and voting as slowed to a halt and no response. Offloading this to the world creator won't really solve much since it's not difficult to just create a new account. Also, giving more power to world creators is also a disaster (abuse) waiting to happen. I know a few who are talented at making worlds, but they're an outright elitist and would kick/ban anyone ranked Player or below without hesitation; they're jerks basically. I've been booted at least 10 times in the past week already. I totally agree with this proposal. In the comments I read comparisons that, in my opinion, have no correlation with the situation we are talking about, like that one of the "art gallery". The point is that if a hacker or any troll enters an instance disturbing all those who are inside or, even worse, making them crash, those who played the map normally will probably no longer play in the map because there is a risk that the hacker or troll can come back to do it again. And I often hear that people no longer go to certain places because they are frequented by these trolls, so those who lose are those who spent the time to create that world, because our effort to create a world where people can have fun becomes nothing if nobody plays with it. And yes, some would abuse this power, but in the end who really loses? If one person is banned from one world he can always go to another 1000 similar worlds, so the one that really loses is the creator of the world, because he creates a bad reputation on his world and risks losing players, making the time used to create that world useless. And then yes, hackers should be reported directly to VRChat, but we creators are not in the world 24/7 and we certainly can't know everything that happens, and honestly it's also rare that other people report these things to VRChat because currently the system of VRChat for reporting is not efficient enough in addition to not knowing if anything has been done about it or not, so it also makes you lose interest to report them because you don't even know whether it is worth wasting time to write an email or report from the game, so giving the opportunity to exclude annoying people from a world is definitely a first step because we, creators of worlds, we can act quickly because it's in our interest that our world is not frequented by these trolls. @Latiprod: it sounds like your main issue is with VRChat's moderation, not with the lack of moderation tools yourself. Giving these powers to world creators would be absolutely insane. The comparisons to Second Life and High Fidelity are completely useless as they have entirely different systems. Allowing world creators to act as vigilantes would be a major disaster. I don't want people like OP to have that kind of power as evident by their behaviour here. @Hugo Zink: I don't even know what Second Life or High Fidelity systems are like, so I didn't make any comparison and I didn't confirm anything about it, I just said that the comparison with an art gallery is completely out of place. And, as I explained before, even if the creators ban randomly and unjustly who loses is only the creator of the map, because it makes a bad reputation, people would be less in his map and the time spent to make it would be useless because, in fact, no one would use it anymore, while the banned player what they lost? Access to one of the thousands of worlds there are on VRChat? It doesn't seem this great loss to me. And yes, it's clear that VRChat doesn't have enough people to moderate the current load of users, obviously it's not their fault, managing so many users is not easy, and precisely for this they should be helped by those who, precisely, works to make VRChat what it is today, without what the creators do VRChat today not it would be what it is, and which people are the most trusted if not those that help the growth of this game? And as I said before obvious, there will always be the one who will abuse the power, but then again, the only one who loses here is the creator of the map, not the player. I would like to point out that VRChat's competitors have also got this feature in use which work relatively if not the same way as VRChat does with their instances. Although it may be nice to only have this feature available as a ban from PUBLIC versions of the instance. @Lucifer MStar: whats the competitors game name? @FruityFusion: mentioned in other comments but its high fidelity and in some ways second life also. The issue is that the system for penalizing people who break rules is broken. Putting the onus on the world creators and instance owners to remove hackers and scum does not solve the underlying issue. It also doesn't account for the simple ease at which a hacker who has been banned from a world may create a new account and continue their harassment. A VRC moderator could ban their IP for repeated rule breakage. Offering the same power to world owners would be nuts, and nobody would ever agree to it. This then leaves you in the awkward situation of having to battle people with no hope of relief, while the actual VRC moderators can now say that you have the tools to take care of it and shouldn't complain. In summary, this feature would cause more problems than it solves. Wasn't this already suggested before? The answer was a pretty resounding no. You *DON'T* want this kind of power to be given to world creators. What if in the future, one creator makes like 10 worlds that all top the "Active" charts? That would mean you're locked out of 80% of the playerbase just because the world creator doesn't like you. What this game needs is actual moderators, to roam around public instances and ban troublemakers from the game entirely. @Hugo Zink: That's highly unrealistic that they would have many worlds in the top. Also they would have to find that user in an instance each time. They couldn't just up and ban anyone by just searching for them and being like "ban from this world, that would, here". And like I said if they do abuse the power in THEIR OWN WORLDS then they would get a bad rep and player base will fall for them. It could even possibly be limited to a time also like world creators can ban for a max 2 week or so if vrchat felt the need to. They could make it so they only ban from Public instances of the worlds so the banned players can still create their own just no public. This method has been seen on MANY platforms. Just look at Gmod for instance, You could get banned from all the top servers in any or all game modes. You could get banned from a place in second life. You have to be punished in some way. They could get banned from the entire game lmao they should consider themselves lucky. @Lucifer MStar: it's not "highly unrealistic". This sorta stuff is exactly what happens on places like reddit, where tiny groups of people gain moderation control over 1300+ subreddits and have free reign to ban anyone they like. As I said, you can potentially get banned by the world creator for personal reasons. Suppose 20 people get unfairly banned from Japan Shrine. That would not make the map's reputation fall even a single bit. You would just be another part of the choir saying that their ban is unfair and you would get dismissed. Garry's Mod is actually a perfect example of what I mean. Map makers don't have the ability to ban people from their maps, server owners do. It would be absolutely insane to give that power to the map creator. VRChat is no different. Leave the moderation to the game, don't turn world creators into wannabe vigilantes. @Hugo Zink: You completely misunderstand the Gmod reference. I'm not talking maps im talking server owners. We the map creators have free reign over our maps in vrchat we can already kick users from them. If we want to remove them so be it. Second Life also use the features I am talking about. You own a plot of land and you can ban people from that plot. It does work. Its proven to work. word of mouth would make there map population fall and if these map creators don't want these players playing on their maps so be it its there map. The game is far from moderated. The bans dont have to be perma. Could be from 24hours to 72hours. Punishment is punishment. Many people agree something needs to be done. 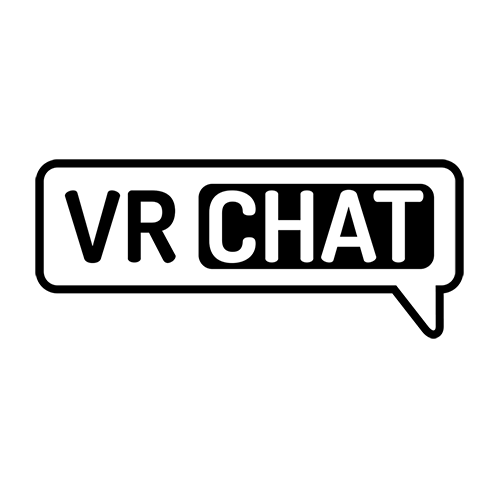 The VRChat team are failing to communicate anything to there community. Making them look like they are not even acknowledging it. At the very least they could communicate to their community as from our point of view they do not care and it's causing people to exploit and hack more just to counter it. They should update more of their social media and frequently give out statements of what is happening. @Lucifer MStar: second life isn't a great example as I'm pretty sure you don't have "instances" of areas or worlds there. Your "word of mouth" argument is based on absolutely nothing. @Hugo Zink: Again you failed to see my point. I've mentioned it could be banned from public instances. Second Life is a good example because if you've played it you'd know once you're banned from that area you're banned from that area in all ways. You cannot get back unless unbanned. People getting banned from public world instances of their creations is a way more friendlier version of this. Please don't comment unless you actually read my replies. Thanks. @Lucifer MStar: I play second life and on my second day of playing I was banned from a region with no warning and I was doing nothing wrong. I was participating in the Hunt they had and all of a sudden I was banned. It was a lovely region that I would love to go back to but can't now. @verser: If they use the system here its been talked about you being able to still create instances for yourself just not public. Or even the bans not even being perma having a max of like a week or 2. There will sure be things to think about but in the end the world is the creators world and moderation is a must. @Lucifer MStar: I think moderation needs to be left in the hands of the moderation team. There is to much vigilantly justice going on right now as it is. @verser: I mean world owners should have the right to moderate their own worlds. They're given the freedom to create the content why not the given the freedom to moderate their world. This would drastically drop cheaters and hackers imo. @Lucifer MStar: once an artist puts there painting in a public gallery do they have the right to say Billy you can't look at it?. I'm sure by now you have heard of kill on site lists. What is to stop map makers from blanket banning people based on those lists. A good chunk of those people who are on those lists are only on there because they just pissed off the wrong person. @verser: lmao those lists are exactly the reason we need this. We don't want players like this in this community. You saying we should do something that will piss them off is just saying they control the game and you're scared to do anything because of that. That is an extremely stupid excuse. Paintings and VRChat are 2 very completely different things. You cannot compare these 2 things. You can't exactly ruin the experience of others looking at the painting unless you destroy the painting. @Lucifer MStar: I can compare the two because both can be considered art. You would harm the innocence because you find the list convenient. This is exactly why we don't need this power in the hands of the map makers. Keep it in the moderation teams hands. @verser: They're both are but completely different types of art and scenarios. @Lucifer MStar: my example is still valid, vrchat like a public gallery is a public forum that allows anyone who wants to experience what is inside to come right on in so long as they agree to the terms. Like a gallery it is the responsibility of the owners of the gallery or forum to protect the art/world's and patrons/users from those that don't follow the rules. It should not be up to the artist to have to stand next to there painting with a AK-47 just as it should not be up to the map makers to do blanket bans. If you have an issues with an individual get the moderation team involved. If they are indeed hackers then they should be banned from the game not just your world. But that is something that that need to handle not the map makers. I want map makers to focus on making awesome maps not who they are going to ban next. @verser: How would this move the focus of map makers to who they will ban? They will be focused on making a map not on who they will ban from the map when they don't have players because they'll be making it. Your real life scenario does not work. This is a video game. The mod team cannot and have not been able to moderate this game efficiently and no matter the size of the mod team they will not be able to with how the game works. This is why on many other social platforms such as second life, High Fidelity and so forth they allow the world creators to moderate and protect their worlds from abusive players and so forth. I'm going to stop replying to you because clearly you are confused and are acting rather childish bring AK-47 comments in etc.. I know there are gonna be some who see it differently but this is just one of the ways to combat the rising of Hackers, exploiters, trolls and so forth.. The reason Art in a gallery is managed how it is is because you can't ban someone from the entire Gallery and see others work because they disrupted 1. VRChat is not one giant gallery its multiple galleries. They abuse in one they get punished in one. This is not stopping them from accessing others nor the one they got banned from as if its only public instance bans they can still enjoy it in private or friends. @Lucifer MStar: my example still stands, and far better than your comparison to second life. In second life you buy the property you manage. In vrchat the only part of the world that is your is the code it self (assuming you don't have any copyrighted materials in it) once you upload it as public you wave any right you had over who can and can't see that world. Your claim to the world is still just the code it is made up of nothing more. In SL you own the property effectively you own a slice of the server the property is on so long as you pay your taxes. There for you have the right to dictate who can and can't enter your property. I fully agree that the moderation team needs to step up there game but I still fully disagree that by virtue of uploading a world you should be granted moderation powers. I also understand that you don't like my way of painting and image in your head to get a point across. I'm sorry. I recommend that you avoid reading books as that is used a lot. If you don't want to reply no skin off my nose I know I won't change your mind about this terrible idea that is bound to be abused like everything else that vrchat has put out lately. @verser: i fail to understand how letting people moderate their own worlds is a terrible idea. I use second lifes idea of moderating their 'worlds' or lands not how they actually work. Look at hifi also. They work exactly the same as vrchat when you use their cloud and they have mod tool for those world creators too. But ok.
@Lucifer MStar: didn't you say you were going to stop replying? Your second life and hifi examples are all completely null and void because those games don't work in the same way. Whether that's because the system is fundamentally different or because the community is simply in a completely different state. Your suggestion would inevitably end up in "ban lists". If you think this would solely be used to combat crashers and hackers, you are as naive as you are stubborn. World creators don't deserve the power of being able to permaban people from *anything*. I'm not looking forward to being barred from entire groups of worlds just because I pissed one guy off. This feature would solely be abused by "power users" who own a lot of worlds. Considering you own a lot of worlds, I'm not surprised that you would make a request that gives you more power. All the more reason NOT to give it to you. Every single one of your arguments is based on people acting in bad faith (crashers, hackers, trolls). These should be dealt with by VRChat. Ask the VRChat team to get out of their ivory tower and moderate their own game for once. Don't ask them to turn us into vigilantes. @Hugo Zink: And I did so after informing him of one last thing. Please read everything I put in reply to your comment. You're allowed to disagree but what you are now doing hugo is allowing yourself to get angry and upset and causing you to place childish comments. Please keep this civil. Thank you. This should definetly be a feature along with whitelisting option to whitelist people for Private worlds. Yaz Kween get it! I support this post! An example of this can be found if you play Second Life. They do this and it works. Doing this will also DISCOURAGE cheating at least in public instances. @Lucifer MStar: Big difference though between SL and VRChat is that SL has a fixed & interconnected grid of landspace, a world map basically, while VRChat maps (public ones anyways) are specifically public resources for people to make their own instance of, including multiple instances. Community Moderating on a finite space in a mostly-finite map is quite different from unlimited control in any instance of a map that is a public resource. @Naelily: It could still be useful having the constant scare of map creator joining their instance. Especially if that creator is active in their own world it would discourage them into private or less populated worlds at the least. I see what you mean. Still every little helps with moderation on vrchat since there is no security right now anyway.